When Chinese medicine is prescribed correctly, it is seldom harmful. It is quite unlikely to cause side effects. But that is different than believing that, because Chinese medicinals are natural — mostly herbal cures — they are safe. Here is a two-part piece of health advice on the considerations we must all have in order to get the most from herbs and stay safe. When certain medicine is not prescribed properly, perhaps to someone who should be taking something else, it can lead to adverse reactions. For a long time, not much thought really was given to all of this. Most of the attention is (rightfully) focused on the potential for side effects stemming from mainstream drugs. But to ignore the potential problems with Chinese natural medicine is unwise. After all, since the style of alternative medicine is growing in popularity, so too is the number of Traditional Chinese Medicine (TCM) practitioners. This newsletter has, since its inception, illustrated the complexities that are inherent in the philosophies of Chinese medicine. That is to say, they aren’t easily learned. It takes years of study and a lot of practice to be a good TCM practitioner. Someone who claims to be an expert, but doesn’t have the proper schooling, and starts prescribing herbal combinations without fully knowing what is wrong with the patient — well, let’s just say there is potential for problems. Even in China, they are devoting a little more effort into understanding adverse effects. There are many concrete ways to prevent side effects, and any good TCM practitioner will know them. But how about we all know them? Patients and practitioners alike should understand the subtle factors that will raise the risk of a treatment that reacts in unanticipated ways inside a patient. Here are the factors that could cause side effects with Chinese medicine. — Dose too high. If you take Chinese medicinals in too high of a dose, you will of course run a greater risk of side effects. Anything taken in too high a dose, stretching the wide chasm between pharmaceuticals and water, can disrupt your body’s natural processes. There are natural chemicals within herbs. Many Chinese formulas can cause toxicity, poisoning, or even damage to sensitive organs if taken in too high of a dose. A good TCM practitioner will understand the proper dose. Ask about what an unsafe daily dose would be. — Doesn’t match your “pattern.” Now, this one is a little more complicated. 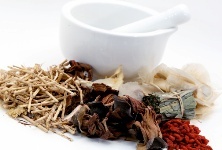 Chinese medicinals are based upon ancient beliefs. Example: If a patient has excess “cold” in his kidney area, then the herbal formula of choice should bring “heat” to the organ. The wrong herb could have a cooling quality that could damage the situation further. If that herb is strong enough to restore you to health, then surely it is strong enough to knock your body out of balance when it is not needed. There are many possibilities, but all good practitioners should have a deep understanding of the nature of every herbal formula they prescribe. That’s it for today. Five more factors that could lead to side effects are explored in part two.